If you are not spiritual I am not slighting you in the least. I respect your thoughts and in no way want to try to change them or convert you over to anyway of thinking. (Just as I do not want to be converted to anyone else’s beliefs.) If you are a believer in any particular religion – I am not going to try to change your views. I honestly feel that if you have been lucky enough to find a religion or spiritual belief that feels right for you – I applaud you and genuinely feel happy for you. Just don’t push it on anyone!  As you will read in “Unscribbling,” one of the key points of view discussed is that you “Work to change ONLY yourself.” If others desire to change from watching your light shine – help them if they ask, but other than that, stay out of their business. Same goes for spiritual beliefs. I desired to write some “Spiritual Side Notes” that might inspire you and give you a new way to think about things. NOT convert you. What you believe is solely up to you. And hopefully we can learn more from each other through the thoughtful comments and discussion that might result. Now, how does life get better than that? God is in everyone and everything. The entire world in interconnected. Your thoughts and actions affect the world you experience and influence. Our souls are here to experience life, to learn, to grow, to love, and to have fun in the process. You are a unique being. Created with the gifts you have to serve a purpose in the universe. Embrace who you are while allowing others to be themselves and learn and grow with their gifts at their pace. Your time in this existence is limited by death. Your souls time is not. The more I am thankful, the more things I find to be thankful about. Our actions can be out of love or ego. When we follow love, all benefit. When we follow ego we struggle & feel pain. So if you are not turned off by any of the beliefs above, I encourage you to check out the spiritual side notes as you go along and read Unscribbling. If they do turn you off, just don’t read them, but read the rest of the book, because that is geared towards everyone. Thank you for indulging me with the opportunity to share more thoughts with you.